From a historical and traditional perspective, crime and serious wrongdoing has generally been regarded as an act that can involve violence, drugs, robbery, burglary, theft and the like, generally governed by the Crimes and other Acts. There is however another insidious aspect of wrongdoing, which is now known as ‘Economic Crime’. This can occur in the workplace (or organisation) involving fraud, theft, corruption and other associated misconduct by a person at any level who is engaged within that workplace . For the Police and other similar agencies, a lifeblood for solving major crimes can come from information supplied by people who have always been known as informants. Informants often have knowledge of serious wrongdoing because they are in close proximity to such a wrongdoer. By various methods, these informants directly or indirectly observe matters that can be passed on to authorities. Their identity and the information they pass on to Police will always remain confidential for very good reason. As a result of several serious recorded events in the past, a statute has been put in place in New Zealand to deal with serious wrongdoing in the workplace. The Act is the Protected Disclosures Act 2000 (sometimes referred to as “Whistleblower” legislation), which is currently under review with the intention of making the provisions more relevant for the current workplace environment. The term Whistleblowing has been applied to the situation where a person from within a workplace has by various means ‘Blown the Whistle’ on serious wrongdoing. For good reason, the Protected Disclosures Act 2000 was enacted to protect such a person from any repercussions arising from their disclosure. “A person who informs on a person or organisation engaged in an illicit activity”. 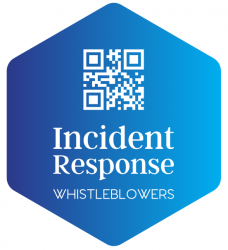 Whistleblowing could more formally be described as being where a person from a workplace has information about serious wrongdoing or misconduct which could impact on, or pose a risk to others connected with that workplace. The Whistleblower then relays that information to the attention of a person or body authorised to receive such information in accordance with the Act. An Anonymous Whistleblower never identifies themselves to any person. A Confidential Whistleblower is one who would be known within the workplace/organisation and whose identity should be protected. An Open Whistleblower is one who makes no request whatsoever for confidentiality.